Top 6 Reasons under which your Thailand Visa can get terminated! When it comes to applying and obtaining a Thailand visa, the process is simple and hassle-free, and is synonymous by the principles of that nation. But like every other nation, the uber relaxed kingdom of Thailand is concerned for its citizens and the peace of the land too, and so; the Thailand Authorities have just sent out a memorandum of scenarios under which a tourist in Thailand could/can be detained. In the recent report on their webpage, the authorities outlined six such scenarios which can prove to be the reason for your Thailand Visa to get terminated. Going by the quote: better safe than sorry, we simplify them for you. 1. Overstay of more than 90 days: If a tourist overstays in the territory of Thailand over his 90 day visa permit, he/she will be barred from re-entering the kingdom of Thailand for a period of one year, starting from the departure date. 2. Overstay of more than 1 year: In a scenario where the tourist has overstayed in Thailand for more than a period of 365 days (1 year), he/she will be barred from re-entering the country for a period of 3 years from the departure date. 3. Overstay of more than 3 years: A tourist who overstays for more than 3 years will be barred from re-entering the country for 5 years from the departure date. 4. 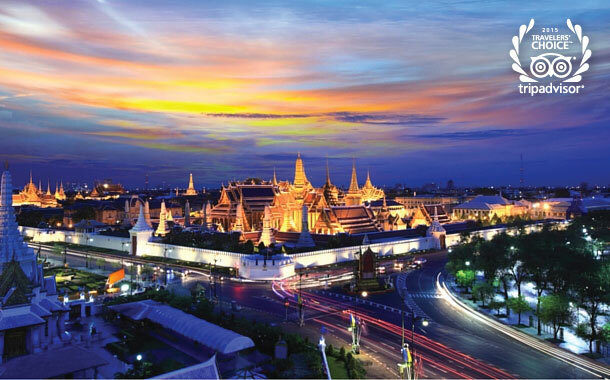 Overstay of more than 5 years: Anyone who overstays in Thailand for more than a period of 5 years will be barred from re-entering the country for 10 years from the departure date. 5. Overstay of less than one year from the prescribed stay duration: In a scenario where someone overstays in Thailand and is caught while doing so, yet has not prolonged his stay by one year will be barred from re-entering the country for 5 years, starting from the departure date. 6. Overstay of more than one year from the prescribed stay duration: If a person overstays in Thailand and is caught while doing so, but his period of stay has been of more than one year, he/she will be barred from re-entering the country for 10 years from the date he departs Thailand. i. Anyone who has indulged in any of the above acts yet, has departed before the age of 18.
ii. Anyone who has indulged in any of the above acts, but has departed before this order has come into force. Thailand is a fairly easy going place, with friendly locals and amazing local food. If you are looking for a destination that can give you the best value for your money, have a look at our selection of Thailand packages that are designed with minute attention to detail to give you the best value for your holidays.